ShadePro | Quality Products for Your RV Adventure! The California RV Show is one of the biggest RV events of the year. It’s held at the Los Angeles County Fair & Exposition “Fairplex” in Pomona, California from October 9-18th. Tickets are $10 for one-day admission, $15 for multi-day admission and $10 for parking. Each day is packed with entertainment. There will be appearances by rick Harrison from the TV show Pawn Stars, former baseball player Steve Garvey, former NFL player Eric Dickerson and many others. The event also features 1,505 new RV’s, 48 RV manufacturers, “How-To” seminar, live music, FREE Ferris Wheel rides, delicious food and much more. Our crew will also be on-site! 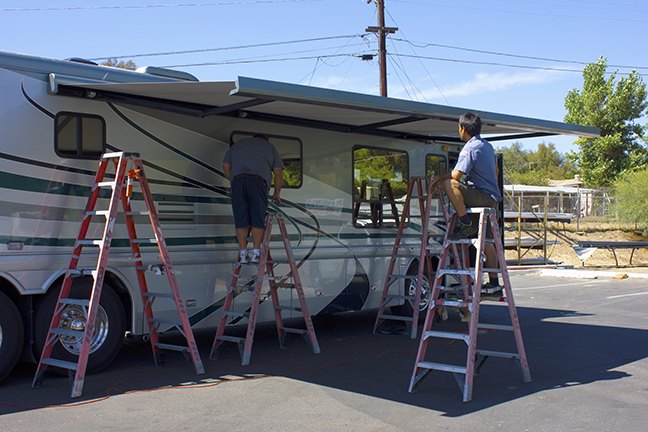 We install new RV awnings, window awnings, screen rooms, Vista Shades, window covers and more. 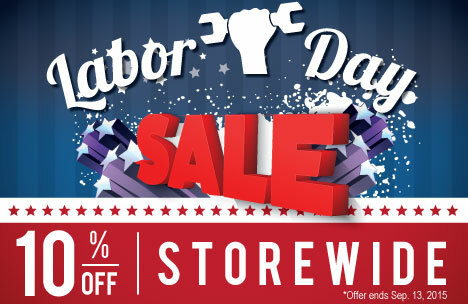 On-Site Repairs • On-Site Estimates • On-Site Installations! Call (800) 328-5100 to get your FREE Estimate today and visit shadepro.net to view all of our great products. A property caretaker is someone who looks after a property when the owner is away. This might be one of the easiest jobs to do. No formal education or experience needed! You just have to know how to communicate with people properly and consider it a plus if you have experience in landscaping, gardening or cleaning. Some caretaker positions will pay while others simply offer free rent. Check out the classifieds, the newspaper and ask around local shops to see if anyone is in need of someone watching over their property. You can also market yourself by creating ads, hanging up flyers, posting in the classifieds section and starting a blog or a website. If you’re already traveling or are going to travel, then all you have to do is share your experience. It’s as if you were telling a friend about your trip only it’s on paper or on the web for everyone to see. You can either write about the state itself or interesting destinations that you think people would like to know about. It could be a popular landmark, a famous restaurant, a haunted hotel etc. Jot down every detail about it. Then refine and perfect your story and then publish it on a blog or submit it to an agency. If you are a good writer and have exquisite grammar and punctuation skills then consider becoming a freelance writer. 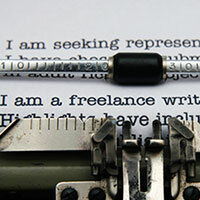 When your a freelance writer you can write full-time or part-time and have the flexibility to make your own schedule. You’ll need to know how to write a query letter which is basically a proposal to write. It should sell your skills, experience and qualifications to an editor or blog owner. The query letter should sound appealing and make them want to hire you. Also, go to meet-ups, conventions and seminars. This is a great way to network and speak with other writers. Building websites may not be such an and easy thing to learn quickly but there are many advantages to becoming a freelance web developer. For instance, you have full control over your clients, business, documents, income and their website. When you’re a freelance web developer, you need to be extremely organized, bid on projects, create proposals & estimates, track your time, generate invoices and have a website displaying your work. 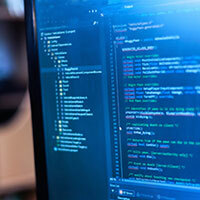 There is a ton of different programming languages that you can learn but it’s not necessarily required. You can easily use WordPress, Wix, Squarespace etc which requires little to no coding knowledge and it allows you to develop sites twice as fast. SEO(search engine optimization) is the process of making enhancements to a website to get better search engine results and gain more traffic. Sounds easy right? Think again. This line of work requires a lot of research, time and dedication but it can pay off extremely well. Unlike web or graphic design contracts, SEO is not a one-time deal. It’s more of a long term investment. Contracts usually last six months to a year and there based on a monthly retainer. This creates a steady stream of income that easily flows into your bank account every month. Most businesses have their SEO done by high-end agencies that are extremely expensive. Sell your clients on the fact that your an independent freelancer. 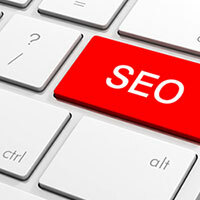 One person will be in control of everything and the rates will be much lower compared an SEO firm. 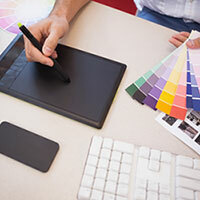 A graphic designer creates graphics for print and digital media. While physical jobs may require a degree, a freelancer only needs a robust portfolio. It’s a very flexible job that requires basic design knowledge and a solid understanding of design principles. The most common programs that are used are Adobe Photoshop, Illustrator and Indesign. An average graphic designer could be asked to design logos, brochures, flyers, catalogs, magazine spreads, menus, book covers, email templates, web banners and much more. Finding work can be tough at first but try creating some simple projects just to throw into your portfolio. This will give your potential clients a good idea that your capable of producing great work. There are also plenty of freelancing job boards to sign up with like Elance, Odesk, Upwork etc. 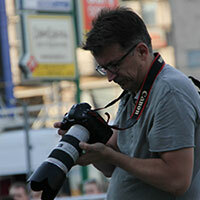 A Photojournalist takes video’s and photographs of current events. Some events can put them in extreme danger such as war zones, riots, protests etc. and they will go to any length to get the perfect shot. They always have their camera equipment on them at all times and must be ready to go at a moments notice. Most photojournalists are hired as freelancers and an education is not necessarily required. They can either be contracted by an agency or attempt to sell their works to media outlets. Photojournalism can be a very dangerous yet rewarding career for the right person. If you like to travel frequently, have energy and capture amazing photos then consider a career as a photojournalist. A financial advisor gives advice and helps others manage their finances. 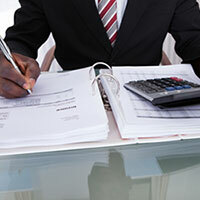 They can advise in such areas such as taxes, estate planning, stocks, bonds, mutual funds and much more. They must be good in math and have strong communication skills. An education is usually required and a degree in finance, accounting, mathematics, economics or business is recommended. Certifications and licenses is also required and an internship is preferred. A financial advisor can work for corporate companies or they can choose to work independently which allows time to travel. Since 2007, Stagecoach has been one of the biggest Country music festivals in Indio, California. With top performing artists and inviting attractions, the festival nearly sells out every year. Attendees and campers should prepare early and purchase tickets in advance. Country Thunder takes place in two states – Arizona & Wisconsin. The festival usually consists of two 4-day events each year and has an average of over 27,000 attendees. Both events are filled with inviting food vendors, enjoyable attractions and top performing artists. The Tree Town Music Festival takes place in Forest City, Iowa and hosts some of country music’s top artists. The event is sponsored by the American Legion which supports active service members and veterans. The Taste of Country Music Festival is in Hunter Mountain, New York and is one of the top Country music events in the U.S. Prepare to see some unforgettable performances by some of country musics notorious artists. Country U.S.A takes place at Ford Festival Park in Oshkosh, Wisconsin. It’s an amazing 5 day non-stop event that will keep you on your toes and features some of country musics biggest stars. Country U.S.A also has a variety of vendors and an amazing campground. The Moodance Jammin Country Fest takes place in Walker, Minnesota and features a variety of well known artists. With many camping accommodations, Moondance is a one of a kind music festival for any RVer. Country Fest is in Cadott, Wisconsin and is a 4 day event for all country music lovers and campers. The festival has a mix of food and beverage vendors as well as multiple stages with top performing country music artists. Stampede is a 4 day Country music and camping festival in Manhattan, Kansas. The event features multiple stages with performances by big Country music stars. Look forward to multiple food & beverage vendors, interactive exhibits, camping and more! Big Barrel is a 3 day event that takes place in Dover, Delaware. 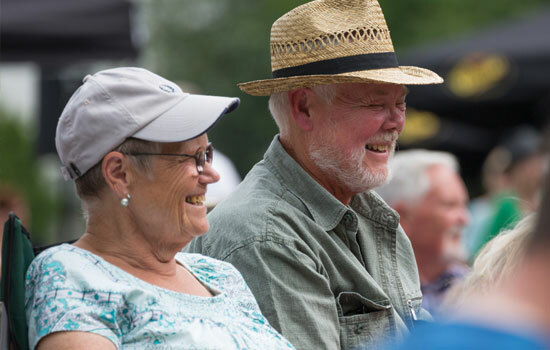 The festival features some of country music’s top artists, family areas, a petting zoo, a BBQ pit and much more. The Faster Horses Festival is in Brooklyn, Michigan and features some of Country music’s biggest stars. The 3 day event accommodates campers with a variety of convenient amenities including dump stations, 24hr security and much more. Country Jam is held in Eau Claire, Wisconsin with a main stage that features popular Country music artists and accommodates campers of all kinds. The 3 day event also has VIP areas, food & beverage vendors, a beer garden and much more. The Night in the Country Festival is a 3 day event that takes place in Yerington, Nevada. The festival allows RV and tent camping and features some of Country music’s biggest stars. Boots & Hearts is a 3 day event in Ontario, Canada. Featuring popular Country music singers, food &beverage vendors, beer tents, cell phone charging stations and more. Jam in the Valley has been established for 23 years and has been known for their firework shows. The festival is a 3 day event in Varysburg, New York which features well known Country music artists and accommodates campers of all kinds. The watershed fest is and outdoor venue located in George, Washington. Enjoy 3 days of non stop Country music, multiple food & beverage vendors and more. RV Awning fabric can fade, tear or look worn-out over time. At some point you’ll want to replace the existing fabric on your awning. When you order new fabric, you will need to know the correct measurements. Frequently, people assume to measure the width of the existing fabric. This is INCORRECT! Shadepro knows what kind of awning fabric you need just by knowing the width of the entire awning. 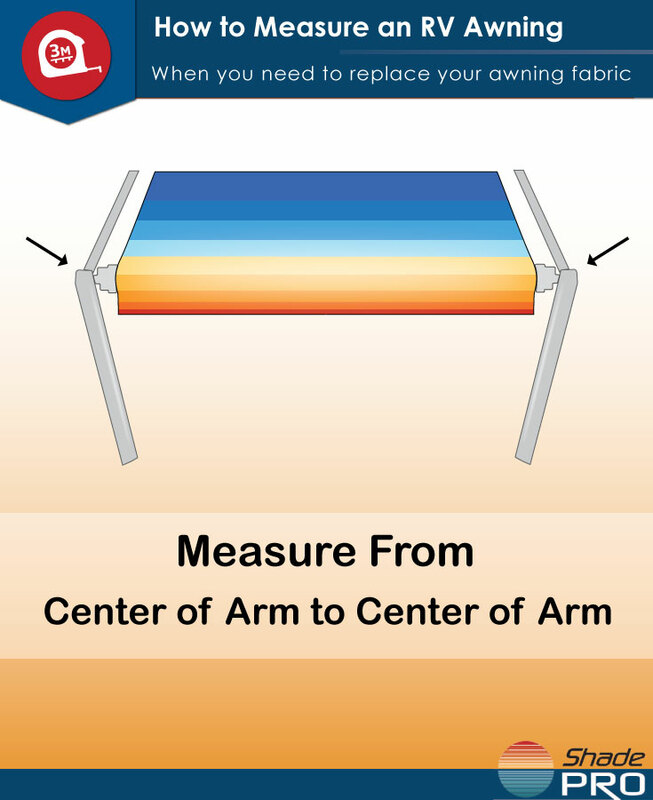 Make sure you know how to measure and order the correct size for your RV awning.